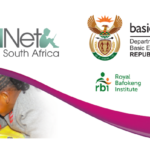 The Royal Bafokeng Institute and Lebone II College in partnership with NorthWest Department of Basic Education Bojanala District will host the SchoolNetSA Digital Learning Conference in June 2019. We invite teachers with a passion for digital learning, ICT coordinators and eLearning officials to register below to join us for three days of professional development. 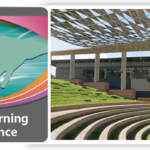 We also call on potential presenters to apply to share their best practices for digital teaching and learning in relation to the conference themes. Conference fee: R1 000 a person until 30 April 2019. Thereafter, R1 100 per person. Register and pay for the conference online using a credit card and Quicket. Early bird tickets booked and paid for by 30 April 2019 cost R1 000 (plus a R5 Quicket fee). From May 2019 tickets will cost R1 100 a person (plus a R5 Quicket fee). The conference fee includes teas and lunches for all three days of the conference. Please note that transport and accommodation are NOT included in the conference fee. Email to info@schoolnet.org.za for queries or if you require a VAT invoice to pay by EFT. Please note that the ticket prices including VAT for EFT payments are R1 150 per person for an early bird ticket and R1 265 per person from May 2019. We are looking for presenters to share their best practices, skills and experiences of using digital learning. We expect engaging sessions that will inspire teachers and that will get delegates involved through hands-on activities. Apply to be a presenter by 1 April 2019 and we will let you know by 17 April 2019 if your presentation has been selected. Please note that the conference fee for presenters will be waived, but presenters will need to make their own travel and accommodation arrangements, and will need to cover these costs themselves. Vendors are invited to be part of our Digital Playground Exhibition Space to showcase their digital resources to an anticipated audience of 500 teachers, school leaders and officials. In addition to presenting their digital content and tools at their exhibition space, vendors can also sign up for presentation slots to showcase their digital resources as part of the programme.Please note that these demo slots will be part of the parallel tracks of the conference, allowing delegates who are interested in your goods or services to choose to attend your presentation. Sign up to be an exhibitor or contact info@schoolnet.org.za to customise your sponsorship. A range of hotels and guest houses are available close to Lebone II College of the Royal Bafokeng. Please see this list of accommodation options in the area and contact the hotels directly to make your own accommodation arrangements. You will also be able to book to stay in the hostel accommodation at Lebone II College of the Royal Bafokeng from an additional cost of +-R400 per person per night including dinner and breakfast. Please watch this space for link to booking options.